With Georgia the #1 state for electric vehicle registrations (YTD June 2014) edging out California, National Drive Electric Week was kicked off by the Atlanta organizers a few days ahead of schedule with a launch event held at The Weather Channel Studios on Friday morning September 12, 2014 as part of the AMHQ Morning Show with hosts Sam Champion, Maria LaRosa and Mike Bettes. All three celebrity hosts participated in the program, across three segments which aired between 8:00 and 10:00 AM. 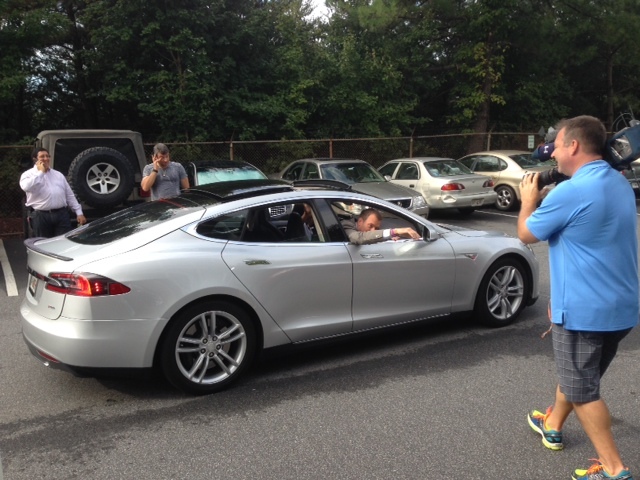 Atlanta Drive Electric Week Co-Captain Michael Beinenson ensured that all key EV makes and models were on hand. My own 2014 Chevrolet VOLT got a prime slot in segment #1 facing off against the new BMW i3 while remaining in subsequent segments behind the hosts. I can’t tell you how many hours I spent rehearsing my VOLT: “now smile for the camera!” She did great. Video is the property of The Weather Channel. The event was supported by the EV Club of the South, with members lending their EVs (Fiskar Karma, Tesla Model S, BMW i3, Nissan LEAF and Mitsubishi i-MiEV) for the three hour segment filming. Video taken by the author. But the surprise hit was the appearance of one of the first BMW i8′s to be delivered in Atlanta. In fact the car was driven over from nearby Global Imports with the almost owner sitting in the passenger seat. We quickly re-arranged the third segment to get the i8 into the shot and both Sam Champion and Maria LaRosa quickly improvised to shift the audience attention from the Tesla Model S that with Mike Bettes speeding by to show off the $150,000 BMW i8!. All photos taken by the author. Categories: #DriveElectricWeek, Electric Vehicles, EV Charging Stations, EV Sales Data, EV Tax Incentives, EVSE Providers, Home Charging Systems | Tags: #AMHQ, #Atlanta, #DriveElectricWeek, #electricvehicle, #MariaLaRosa, #MikeBettes, #SamChampion, #TheWeatherChannel | Permalink. 2014 Model Year End Sales: Time to shop for an EV! 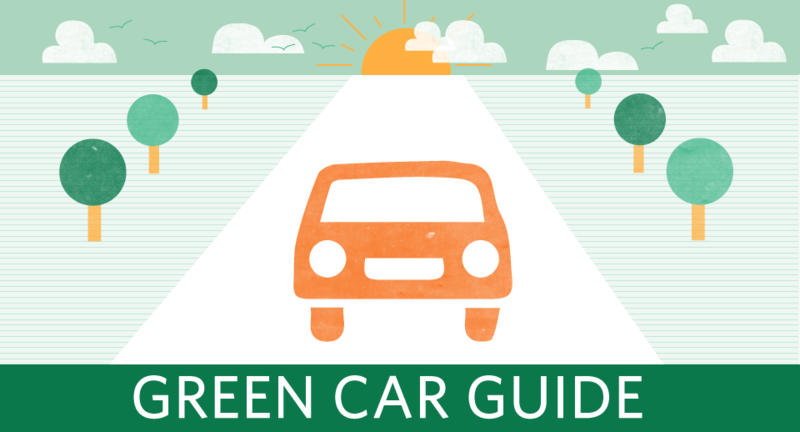 Great background on Green Vehicles as you begin shopping for 2014 hybrids (HEV), Battery Electric Vehicles (BEV), Plug-In Hybrids (PHEV). Auto makers are beginning their Model Year close out sales, where you can find some great deals on many of these Alternative Fuel Vehicles. 2014 Cadillac ELR and Chevrolet VOLT in particular. Use TrueCar.com to see what prices people in Atlanta are paying for EVs. Don’t overlook the used EV market where a 2-year old Nissan LEAF with reasonable mileage are retailing for $15- $18,000 (see AutoTrader.com). Lots of battery life left and since the Federal Tax Credit was taken by the first owner, the used price reflects it so you don’t miss out on the tax credit (indirectly). Categories: Electric Vehicles, EV Charging Stations, EV Sales Data, EV Tax Incentives | Tags: #Atlanta, #used #cars, Chevrolet VOLT, Nissan LEAF, Toyota PRIUS | Permalink.